Adwords Express is a new, simplified version of Adwords. Understanding that many small and medium sized business (SMBs) owners don’t have the time to learn how to manage a full fledged Adwords campaign, Google has stripped the service down to its bare essentials. Google announced the service on the official Google Blog earlier this week, where it said the service provides a "faster and simpler way to start advertising online in under five minutes." Google also posted a video, which is cute, but it doesn’t explain much. So here is a breakdown of what Adwords Express brings to the table. First, Adwords Express is optimized for Places integration, which you’ll have to have in order to use the new service. You can of course still have your ad lead to your company’s website, but it’s clear that the Google Places integration is meant to nudge users toward having their ads point to their Google Places profile (and rightfully so). The blog stresses that Adwords Express will be served to mobile users, and the video demonstrates a passer-by finding a business on his smartphone--indications that Google is hoping Adwords Express will catch on as a location-based ad network. Second, Adwords Express gives you the new option of automatic management. If you’ve ever labored over an Adwords campaign trying to figure out why you’re spending so much money but getting so little traffic, this is a very appealing option. The Google blog states that "Adwords Express will figure out which searches should trigger your ad to appear and displays it when these searches happen." Of course, there are probably things that Adwords pros can do that the automated system can’t, but if you’re new to Adwords and don’t have the time or desire to learn a relatively complex system, automated campaign management is a great option. 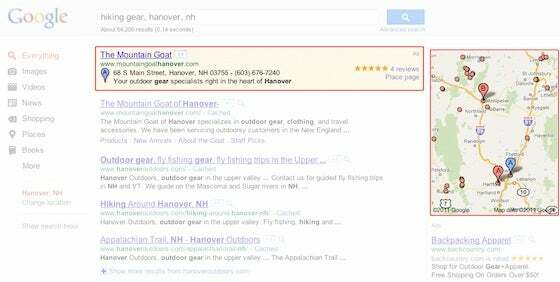 Google has been revving up its appeal to local businesses over the last year. It tried to buy Groupon for $6 billion in 2010, and when the bid was rejected, it launched Google Offers, its own competitor to Groupon and other daily deals services. It also recently stopped hosting third party reviews on its Google Places site, another move meant to consolidate and streamline how small businesses reach their clientele. Adwords Express is one more feature Google hopes will stretch their lead as the one-stop-shop for all your small business needs. Ilie Mitaru is a culture and business journalist and an occasional entrepreneur. He is the founder of an alternative business magazine, Stake, set to launch this fall. Follow him @iliemit .